When the people brought to Jesus the adulteress, they didn’t really care about keeping the law. The fact is, adultery was an impractical crime for them to punish. On the one hand, it was very widespread. On the other, any capital crime needed to receive Roman approval. For such a crime that approval wouldn’t happen and besides, they didn’t like needing to get “permission” from Rome for anything. On any given day there were probably dozens of couples that could have been “caught” if anyone truly cared to do the catching. The reason this woman was brought to Jesus had very little to do with the law, justice or this woman. It was merely a trap and Jesus knew it. When Jesus bent down, what did He write in the dust? This is probably one of the most common speculations people make about the Bible. What did Jesus write? Some say he wrote the Ten Commandments. Others think He started naming off sins of those in the crowd. One commentator points to what I’ve been quoting in Jeremiah to say Jesus was writing the names of those in the crowd. Whatever He was writing, it put them to shame. They had rejected God even as He was right there before Him. As He bent down and wrote in the dust conviction broke through their hard hearts. Each and every one of them turned away. The woman caught in adultery was being made a spectacle. What began as a “private” sin between two consenting adults had been turned into a public spectacle. All of a sudden everybody knew and was all up in her business. Every eye in the very crowded city was on her… And then Jesus bent down and began writing in the dust. Whatever it was that He wrote, the attention was taken off of the adulteress. On this day of disaster, in a moment of terror, with that one simple act Jesus provided a refuge. He moved the spotlight of conviction and turned it right around on her accusers. This is what Jesus is all about. Those who brought this woman to Jesus cared nothing for her. She was a pawn in their game of entrapment. They tried to back Jesus into a corner. But Jesus wasn’t playing their game. He had no desire to bandy words. He bent down and began writing because Jesus was about reconciliation, not condemnation. He bent down because He was about healing not harming. Jesus bent down because He cared. He still does. 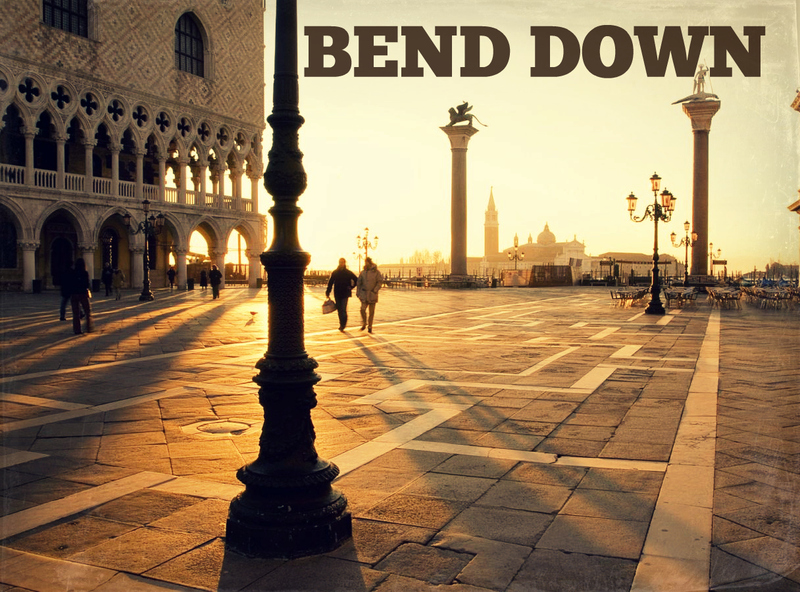 Jesus, I am desperate for You to bend down once again. The accuser is pointing His finger at me that You would be disgraced. Truth is, the accuser is right. I am an adulterer. I have failed You. I have been unfaithful. I’ve sinned. I have fallen again. For that, I am more sorry than words can express. My unfaithfulness to You is inexcusable. I am sorry. But please, bend down again. Raise me back to my feet again. I am in desperate need of the healing once again. Show me Your grace and silence the accuser once again. Save me, Lord, for in You alone do I place my hope. Thank you so much for this. . .God bless!